MOSCOW (RFE/RL)–Russia publicly demanded on Wednesday Azerbaijan stop barring Russian citizens of Armenian descent from visiting the South Caucasus country, saying that the “blatant discriminatory practice” could hurt Russian-Azerbaijani ties. The Azerbaijani government has long maintained a travel ban for not only Armenia’s citizens but also ethnic Armenians from other countries because of the unresolved Nagorno-Karabakh conflict.It considers any Armenian presence on Azerbaijani soil a security risk and an affront to the country’s honor and territorial integrity. 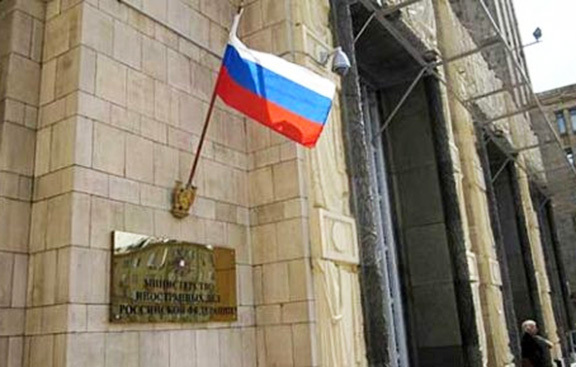 The TASS agency quoted an unnamed official at the Russian Foreign Ministry as saying that 25 Russian nationals with Armenian surnames have been detained and deported after attempting to enter Azerbaijan so far this year. The official said Azerbaijani immigration officers have also interrogated individuals with traditional Russian names suspected of having Armenian ancestors. “We have to conclude that Russian citizens arriving in Azerbaijan are really discriminated against on ethnic grounds,” said the official. According to TASS, the Russian Foreign Ministry has repeatedly demanded explanations from the authorities in Baku and has been told by them that the travel ban is needed for averting “undesirable incidents.” The ministry official dismissed the explanation as unsatisfactory.